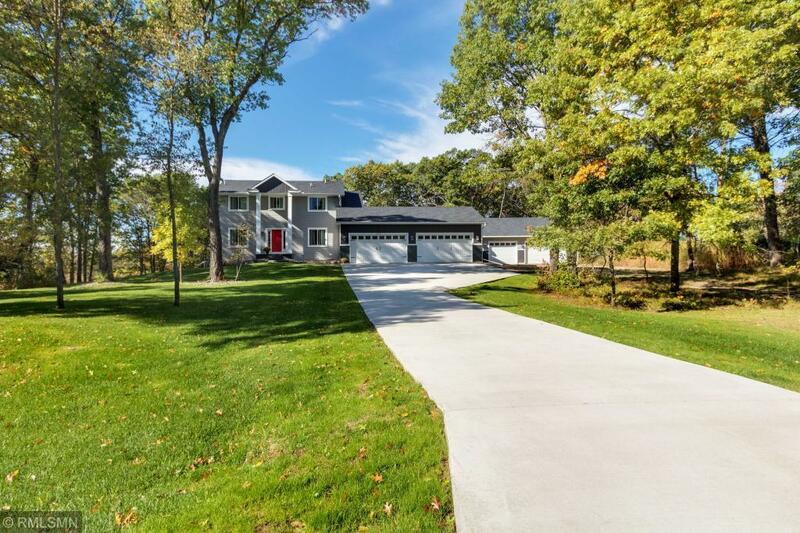 Immaculate 5 bedroom/4 bath home located on 8+ picturesque acres. Main floor features an office/den, living room w/ fireplace, dining room, kitchen, and main floor laundry. 4 bedrooms up with private master bath. Walkout basement is finished with a fifth bedroom, another office/den, and a kitchenette. 4 stall garage leaves plenty of room for the toys. 2018 upgrades includes 28x40 detached garage, landscaping and in-ground sprinkler system.